Frogs. They can be irritating if you're trying to fall asleep on a summer night with the windows open. They can be yucky, too, if you have an aversion to wet, slippery creatures. But scary? I'd be hard-pressed to anoint them with that adjective. 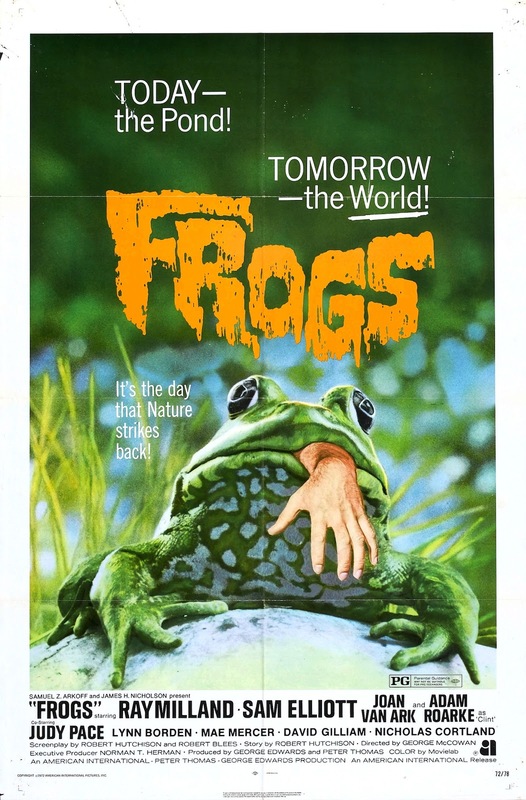 So, it's surprising when American International Pictures decided to make a man vs. nature horror film that the filmmakers selected frogs to be the focus. Of course, it could be that someone designed the poster first and that image of a human hand protruding from a frog's mouth was just too good to pass up. When I was a teen, it convinced me to plop down $2 to see Frogs at my local theatre. But, for goodness sakes, what inspired Oscar-winning classic film star Ray Milland to take the lead role? 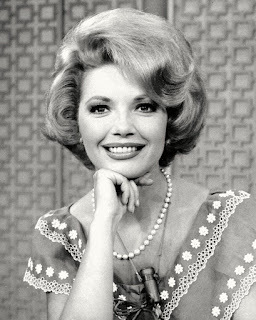 The answer is provided by Mr. Milland, who--when asked why he made so many questionable movies later in his career--responded: "For the money, old chap, for the money." Ray Milland chats with Sam Elliott. In Frogs, Milland plays Jason Crockett, the bitter wheelchair-bound patriarch of a swampy Mississippi estate. The Crockett family and friends, an unlikable bunch for the most part, have descended on "Crockett Land" to celebrate Independence Day and a month full of Crockett birthdays. Their activities are interrupted by the arrival of Pickett Smith (Sam Elliott sans famous moustache), a nature photographer almost run over by a Crockett-driven speedboat. Karen Crockett (Joan Van Ark) takes an immediate liking to the hunky Pickett and invites him to stay the evening. While exploring the estate, Pickett finds the corpse of the family's missing handyman, who has apparently been killed by a snake. The handyman disappeared shortly after spraying poison around the swamp in an effort to destroy the large frog population. Pretty soon, the family and its servants are being bumped off by spiders, snakes, birds, lizards, and alligators. Pickett wisely surmises: "I know it sounds strange as hell, but what if nature was trying to get back at us?" 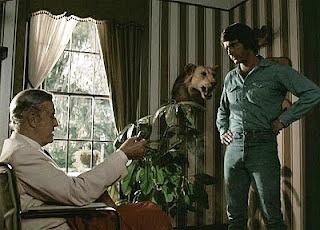 As interest in ecology spiked in the 1970s, the film industry introduced a number of low-budget "eco-horror" films, such as Grizzly ("18 feet of towering fury! "), Day of the Animals, ("The terrifying movie of a world gone mad! "), and--the best of the bunch--John Frankenheimer's Prophecy. Even Godzilla got into the act with Godzilla vs. the Smog Monster. As the first of this subgenre, Frogs leaves a lot to be desired. It never mounts a legitimate scare (unless you suffer from herpetophobia), wastes a decent cast, and muffs its ecology message (if, indeed, there was any intent to state one). At its best, it's silly fun if watched in the right frame of mind. 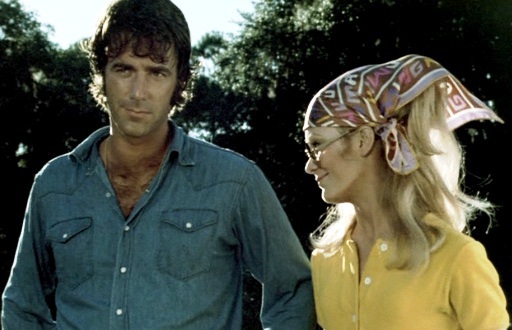 Elliott, with shirt on, and Joan Van Ark. 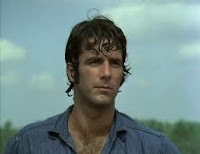 (1) According to some sources, Frogs played a key role in Sam Elliott's acting career. His beefcake scenes may have led to his casting in Lifeguard, which featured one of his best performances and confirmed his leading man status. (2) Lizards are the smartest of reptiles. When it comes time to kill one of the Crockett clan in a greenhouse, the lizards knock selected bottles of chemicals off the shelves and mix them into a toxic gas. Lizards as chemists--who would have imagined? (3) Frogs aren't scary, but they must be highly intelligent because, in Frogs, they seem to convince the other animals to do all their dirty work while they get the majority of close-ups. As for one-time Best Actor Ray Milland, Frogs ranks in the middle of his latter career filmography. It compares unfavorably to imaginative low-budget efforts like Panic in Year Zero and X--The Man With X-Ray Eyes. On the other hand, Frogs is a considerable improvement on Terror in the Wax Museum, The Thing With Two Heads, and The Sea Serpent. And, by the way, an "army of frogs" is the proper biological term for a bunch of frogs. Who said the Cafe wasn't educational? I actually do have an intense fear of snakes, but I think frogs and lizards are kind of adorable. I completely agree that this is a "middle" film for Ray Milland -- while reading your wonderful post, I thought, "At least it's not THE THING WITH TWO HEADS," and you rightly noted FROGS as, if nothing else, an improvement over that film and others. I find the eco-horror subgenre utterly fascinating, but I'm always intriguing by a handful of movies that are a reflection of the times, like the fear of nuclear warfare with '50s gems such as THEM!, or the '80s movies littered with yuppies like LESS THAN ZERO. A great read, Rick! Sark, you raised an interesting point about pop culture in general, and cinema in particular, capitalizing on timely issues. The science fiction film genre has done this very well (e.g., pollution in the 1970s and, as you noted, radiation fallout in the 1950s). But then, social comment has always an important part of science fiction. 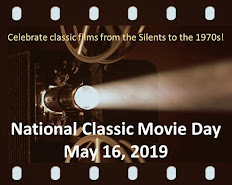 Rick: When I was about 10 or 11, I remember my dad and I seeing this at the local theater on a double feature with "Stanley" (think "Willard" with rattlesnakes). I can still remember my dad muttering under his breath, "What's Ray Milland doing in this?" I wonder how many people of my dad's generation thought the same thing. But I think "Frogs" isn't bad at all,and probably Milland's best film in the horror genre, certainly better than the Two-Headed transplant movie. It at least tries to show an interesting cast of characters in that swamp estate. I've seen a lot worse. Some smart programmer should double feature it with "The Maze." With "One Froggy Evening" as a palette cleanser between features. Didn't know that about the "army of frogs" term. Good to know. Kevin, I adore the idea of a twin bill of FROGS and THE MAZE. The latter is such a funky film, because the big reveal borders on ludicrous and yet still elicits sympathy. And, of course, the set designs by director Menzies are impressive. Rick, I'll admit I've never actually seen FROGS, but it sounds like good neo-camp fun. I like your cheeky suggestion of a movie night with FROGS, ONE FROGGY EVENING, and THE MAZE! Admittedly, as a fan of quirky singer/songwriter Robyn Hitchcock, I keep hearing the name of his album GLOBE OF FROGS in my head. Maybe someone could do a remake with Robyn Hitchcock performing the score! :-) In any case, I really enjoyed your blog post! Dorian, if know you know anyone with Comcast on Demand, you can enjoy FROGS as one of the free movies this month. I think those crafty lizards will impress you. "Who said the Cafe wasn't educational?" I didn't! Where else could one find out what to call a gaggle of frogs (oh wait a minute, that's geese isn't it?) This gave me a good laugh, making me think of another attempt to make a cute little animal scary -- Night of the Lepus, with terrifying bunnies! Really baaaad, but hilarious! By the way, it seems to me that in the photograph above, captioned 'Where's the famous moustache', Sam Elliott looks like a young Daniel Day Lewis. Lots of fun, Rick. I remember 'Frogs' at the movies many years ago. Later, my family and I went to the mansion they used in the movie. I think it was near Panama City Beach, FL. Now I'll have to look that up too. Thanks.